The title of a nurse practitioner (NP) carries a lot of weight in the health care world, as you are able to provide a wide range of primary care services much like a doctor. This includes ordering and interpreting diagnostic tests, prescribing medications, and treating acute conditions. This specialty is suited for a nurse who wants to be able to make their own decisions in patient care and will require that you complete a master’s or doctoral degree program. Clinical training will also be far more advanced than your typical nursing training, but from NP you have the opportunity to earn even more if you choose to specialize in a certain medicine, such as cardiology or pediatrics. As an orthopedic nurse, your job will center around helping patients with musculoskeletal injury or disease. This can be as simple as dealing with broken bones, or complicated as when dealing osteoporosis and arthritis. You will be called on to develop care plans, administer medications, and provide educational support to your patients and their families. This is a specialty best suited for nurses who already have developed an interest in this field. In order to prepare for this career choice, you must achieve either an ASN or BSN and passed the NCLEX-RN. You can also voluntarily pursue a certification from the Orthopedic Nurses Certificate Board. A love of working with children is a natural prerequisite for this specialty, which focuses on the care of young patients who have diseases of the endocrine system. The most common disease in this category is juvenile diabetes, and a pediatric endocrinology nurse is crucial in drawing blood samples and educating the patient and family in how to manage this disease. A licensed RN who wishes to pursue this specialty should gain expertise in both pediatric nursing as well as endocrinology through on the job training, self-study and continuing education courses. A certified nurse midwife (CNM) does much more than just deliver newborns. They counsel and care for women throughout their entire reproductive years. Not only do you need a bachelor’s degree to enter this specialty but you also must pass a national certification exam from the American College of Nurse-Midwives and receive a license from your state. This will permit you to perform gynecological exams, assist with pregnancy planning, provide prenatal care, offer help with breastfeeding, and counsel women who are going through menopause. Multi-faceted nurses who are eager to work independently and not intimidated by face to face interaction with patients can consider advancing to a career as a psychiatric nurse practitioner. Also referred to as a mental health nurse practitioner, your role will include diagnosing mental illness and prescribing the correct medications as well as acting as a therapist to help patients learn how to cope with their mental illness. This is a highly specialized field that requires an RN to first earn a Master of Science in Nursing that focuses on psychiatry before getting a board certification in psychiatric nursing from the American Nurses Credentialing Center. If you enjoy the science side of nursing, but not so much the care of patients, companies of all types are in need of nurse researchers. Depending on your area of expertise, your job would consist of collecting data and research studies that pertain to medical products, practices, and pharmaceuticals. Although direct patient care is missing from this field, it is still rewarding as your discoveries could directly improve the lives of thousands of patients at one time, and even make the job of on the floor nurses easier. To excel in this field, you will need to get your PhD as a Doctor of Philosophy in Nursing after achieving a Master’s of Science in Nursing. Prepare for at least 7 years of education and clinical practice if you want to be a top earner in the nursing field. An RN will need to obtain a Master’s from a graduate school of nurse anesthesia, which entails about 1,800 clinical hours alone. Even after having passed the national certification exam and obtaining the CRNA designation, you will still need to complete at least 40 hours of continuing education every two years in order to be able to continue in this profession. Your primary job will be to deliver anesthesia during various medical procedures, monitor the patient during the procedure and then provide follow-up care as a part of their recovery. This is an exacting specialty which requires nurses who have an acute attention to detail and patient care. 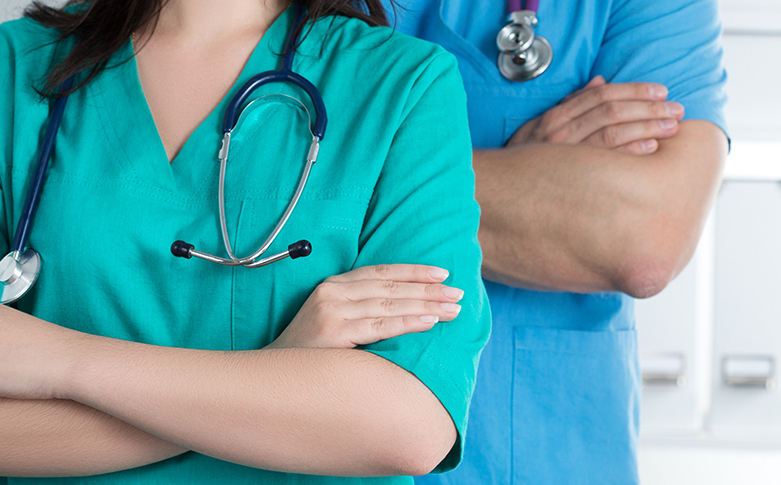 When it comes to making a nursing career choice, it should not just boil down to money. If you want to fully enjoy your job and feel fulfilled, an RN should consider a career in a specialty that they also find personally rewarding. With the demand for quality nurses on the rise, now is a great time to find a specialized nursing niche that will put you in even higher demand.